Agents assigned to the Sarita Border Patrol Checkpoint in Kenedy County, Texas, observed a Ford F-150 truck approaching for inspection on Sunday. A K-9 agent alerted to something in the bed of the truck. Agents referred the driver to the secondary inspection station. The inspection revealed five illegal immigrants under strapped-down mattresses, according to Rio Grande Valley Sector Border Patrol officials. The agents arrested the driver and his passenger, both Cuban nationals, on charges of human smuggling. The five migrants were also arrested and are being processed. The Sarita Checkpoint is located on U.S. Highway 77 between Brownsville and Corpus Christi, Texas. It is about 80 miles from the Texas-Mexico Border. One day earlier, agents assigned to the Falfurrias Checkpoint in Brooks County referred a tractor-trailer to a secondary inspection station. A K-9 agent alerted to a presence of something abnormal in the locked trailer compartment. Agents opened the trailer and discovered 17 illegal immigrants hiding amid the commodity load, officials stated. The agents learned the migrants came to the U.S. from El Salvador, Guatemala, Honduras, and Mexico. The Salvadoran national is reported by Border Patrol officials to be a member of the Mara Salvatrucha (MS-13) gang, Breitbart Texas reported on Tuesday morning. 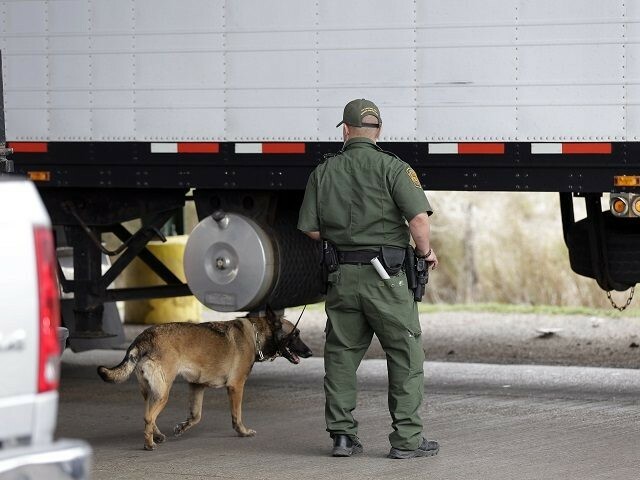 The agents arrested the Cuban national truck driver on charges of human smuggling. The illegal immigrants are being processed for removal proceedings. The Falfurrias Checkpoint is located about 80 miles north of the Mexican border on U.S. Highway 281 between McAllen and Alice, Texas.